Acupuncture is a popular and ancient form of alternative medicine. 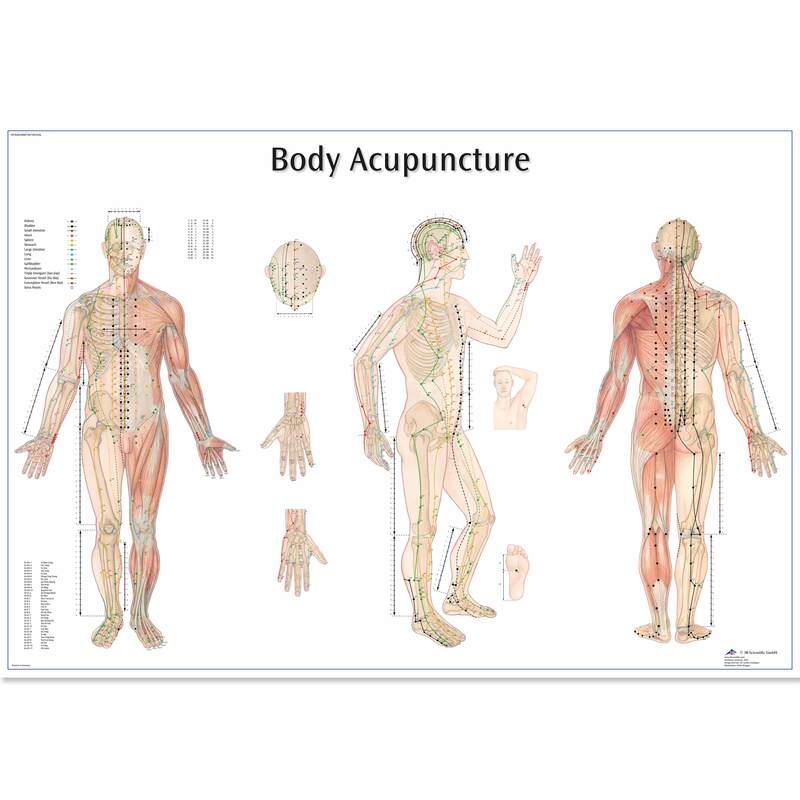 This detailed anatomical poster labels all the important body points for acupuncture. The anatomy poster is a great tool for teaching or as a reference point. Printed on premium glossy (200g) paper. Convenient Poster size 98 x 68 cm (38.58 x 26.77").